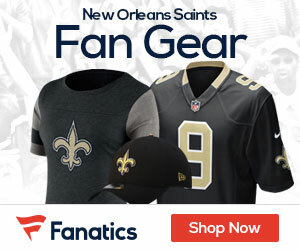 After 5 weeks of play the Saints have a 3 1/2 game lead over Carolina, and a 4 game lead over the Falcons. I’m not sure if the start to the season could have been drawn up any better on Coach Payton’s blackboard. The one thing that the Saints have done that have made them so dangerous is that they haven’t been looking ahead, they’ve kept the focus on the next game. This is another of the big differences between the Saints of last year without Payton and the Saints this year with Payton. 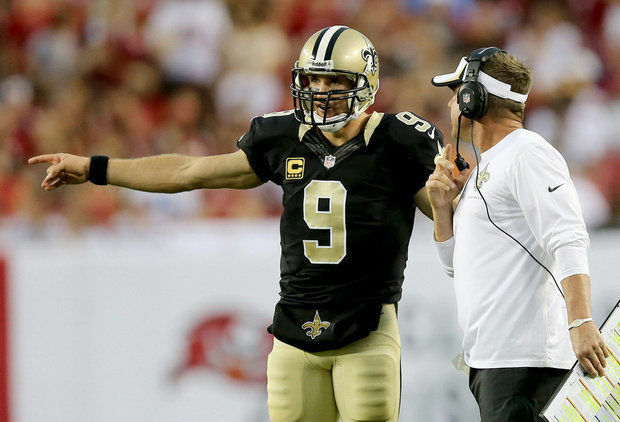 Brees and Payton will have to be on top of their game against the Pats. For the rest of the NFC South the big question is, what happened? Especially for the Falcons who a lot of “Experts” were picking to represent the NFC in the Super Bowl this year. It just goes to show you that you have to play the games on the field, not in the papers. While Carolina has a chance to recover and have a decent season if Newton shows up focused and starts to perform like everyone expects, the Buc’s have to be wondering if it’s time to start looking for next season. Classic matchup between two future Hall of Fame QB’s. This game will be decided by the defenses though, if the Saints defense can pressure Brady the Saints can come up with a 6-0 start going into their bye week. This won’t clinch the division, but it will make the teams chasing the Saints for the NFC South crown have to start looking for a miracle. The Panther’s have another winnable game on their schedule, this week against the Vikings, another team with QB issues. For the Vikings Cassel and Ponder are playing to see who will be Freeman’s backup, at least until Freeman shows whether the issues in TB were his or Schiano’s. Either way until Newton starts playing better the Panther’s are in trouble. For the Falcons this bye week gives them one last chance to try and regroup and salvage something out of a season that has produced more questions than answers. The latest loss of Julio Jones for the season has given them one more question to answer. For the most part the Falcons were a team that was built to win now. If they don’t show something soon then the questions will be about who is on the team next year. With Freeman gone and some people saying that Schiano is running the Buc’s mafia style, you have to wonder about the rest of the team’s psyche over the remainder of the season. The Eagles are coming to town this week, and the question there is will Vick play or did the hamstring injury he suffered last week give the Eagles an opportunity to make a permanent change at QB?